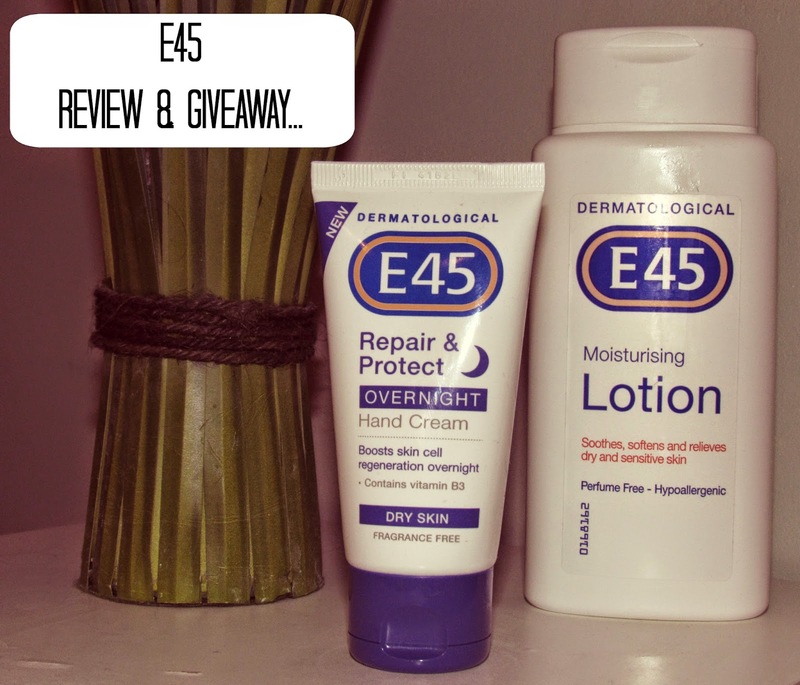 Winter Skin Care Protection with E45…plus a Giveaway! There’s no hiding from it- winter has officially moved in as we’re forced to switch on the heating and dust off our hats, gloves and scarfs. Goodbye warm sunshine…and hello short, dark, cold and grey days. Great. 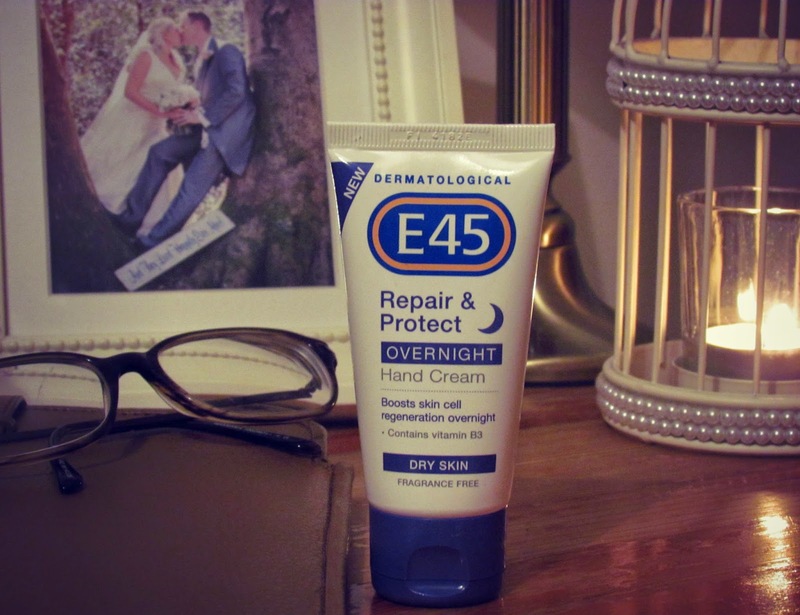 It’s important that we look after our skin throughout the winter months and what better way to do it than with a dependable and familiar brand such as E45. With over 60 years of medical expertise, they are the go-to brand when it comes to treating an array of dry skin conditions including Eczema and even Psoriasis. As we start to bundle up with heaps of layers to protect ourselves from the cold, it’s easy to forget that underneath all those layers is the body’s largest organ, constantly working away, protecting our insides from the external environment that surrounds us. So why do forget that just because the sun has taken his hat off that we shouldn’t continue to protect our skin as it continues to work away, shielding us from the indoor heat, harsh climate changes and all sorts of lurgies floating in the air? The first person I thought of when E45 got in touch to try out a few of their products, was my sister, Emily. 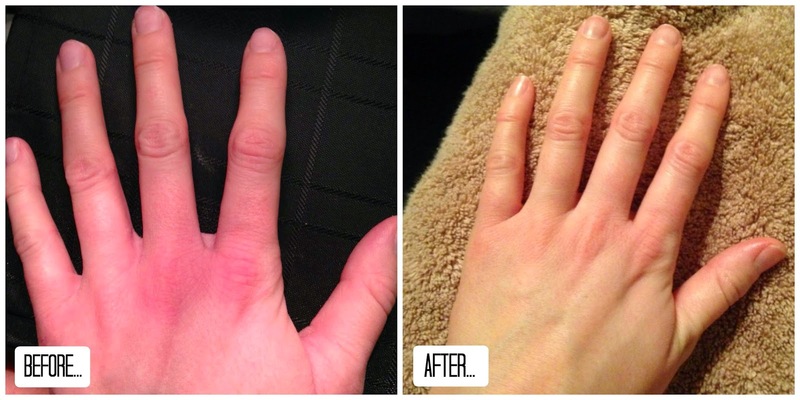 She has always suffered with eczema on her hands and they become considerably worse in the cold winter months, leaving her hands so dry and sore that they are prone to crack and even bleed. Ouch. 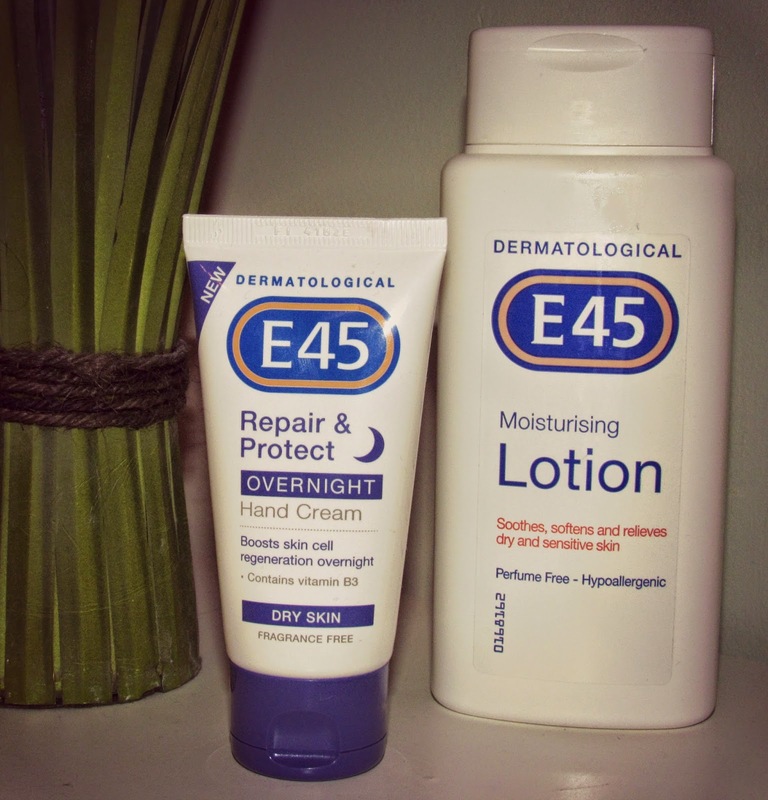 E45 were super kind and sent us both a sample of their E45 Moisturising Lotion and the E45 Repair & Protect Overnight Hand Cream to review. After just four days of using the hand cream, both my sister and I noticed considerable improvements with our skin for different reasons. Aside from a bit of dodgy lighting, you can see that Emily’s hands are less inflamed than before and she is really pleased with how much better her skin feels already. Compared to my sister, my hands are in pretty good condition, but even I was impressed with how smooth and mositurised my hands feel the day after using the hand cream. Even after my morning shower, my hands are still soft and I’ve felt less need to moisturise them throughout the day since using it. Fabulous. You can identify your skin type on their website and tailor a perfect winter skin care routine for you. Or, if like Emily, you too suffer with Eczema, you can follow their Eczema Advice Programme to help manage the skin problem in a few simple steps. I think it’s safe to say that our mitts are in safe hands this winter thanks to E45. Now you too can bag yourself a set of these products as the lovely folks over at E45 are giving away a set of the hand cream and the moisturising lotion to three Miss Enchanting readers! To be in with a chance of winning, all you have to do is use the Rafflecopter below to enter…good luck! Disclosure: I was kindly gifted a selection of E45 products to review and are providing the products as part of the reader giveaway. As always, all opinions are my own and have not been influenced in any way. The prize is 1 x E45 Repair & Protect Hand Cream and 1 x E45 Moisturising Lotion. Entrants must follow the Rafflecopter instructions. For help using Rafflecopter click here. Entries: Each reader can enter up to five times using the Rafflecopter, by answering the question provided in the comment section, liking Miss Enchanting’s Facebook page and following Miss Enchanting on Twitter, follow E45 on Facebook or tweet about the giveaway. For those of you already liking and following you will aromatically get a free entry. UK Entrants only. Apologies to my overseas readers…I will make it up to you one day! Competition closes on 13th December 2014 12.00am. The winner must respond within 7 days or forfeit the prize. Another winner will then be chosen. Miss Enchanting reserves the right to change or alter the prize should it be necessary. Miss Enchanting’s decision is final. Firm, but fair. It is so hard to deal with my dry skin in winter but these products can be helpful to take best care of it. I will definitely use them. Thanks for sharing.